With how small Singapore feels and how hectic our lives get, we all want to take a vacation to de-stress every now and then. But getting a flight to that dream destination isn’t cheap, so how can we make things work? 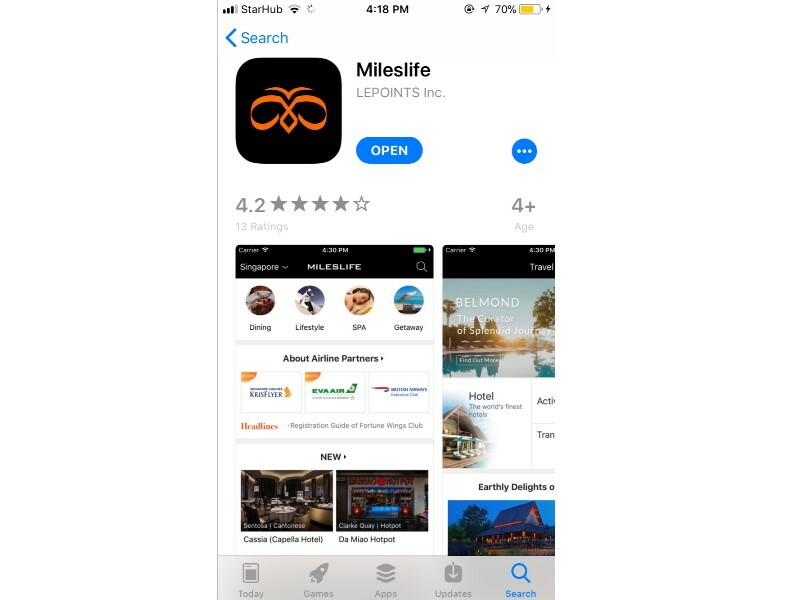 Mileslife helps you save up for your trips while you dine and shop! 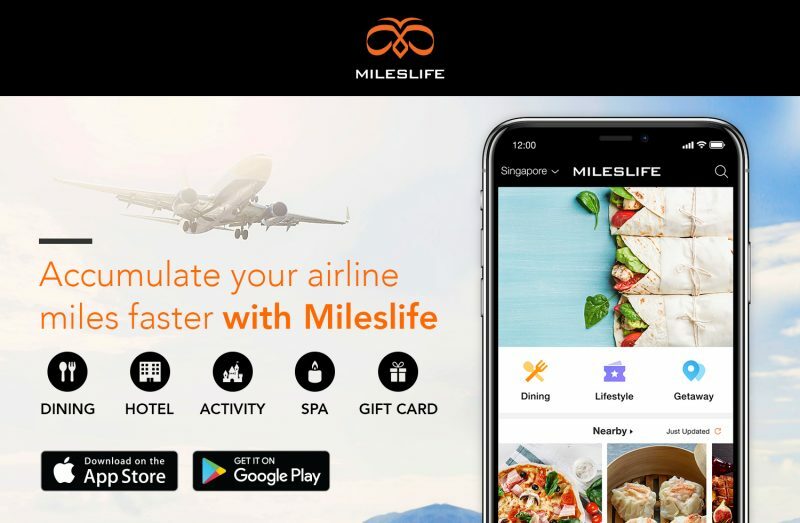 No need to rack up credit card bills just to get those frequent flyer miles, when Mileslife lets you get those miles through your daily spending. We’ve got a promo code at the end to give you 1000 free miles too! 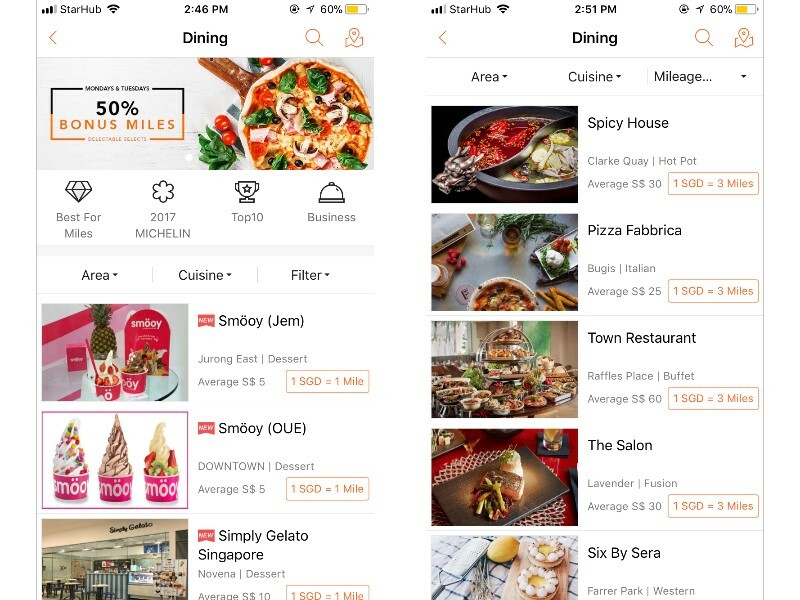 For every S$1 you spend on Mileslife, you can earn up to 5 miles. 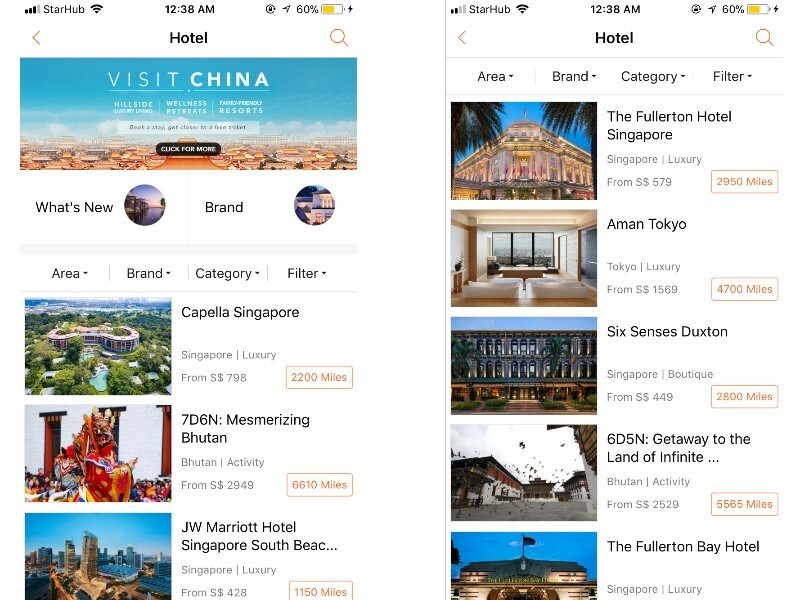 You’ll be able to accumulate your miles in no time at all because you can choose from over 7,500 dining, hotel bookings, lifestyle activities and even gift cards. Download the app from the Google Play Store or the Apple App Store, and start browsing. You’ll need to link up your credit card with the app, because purchases will be transacted with your card. Also, these miles you earn are in addition to the miles you earn from using your credit card. That’s right, you’re earning extra miles through the app! You’ll even get to choose the frequent flyer programme to accumulate your miles. With 14 different programmes to choose from, you’ll definitely be able to find your preferred programme. I chose to add Singapore Airline KrisFlyer and Emirates Skywards, because those are the ones I’m signed up for. 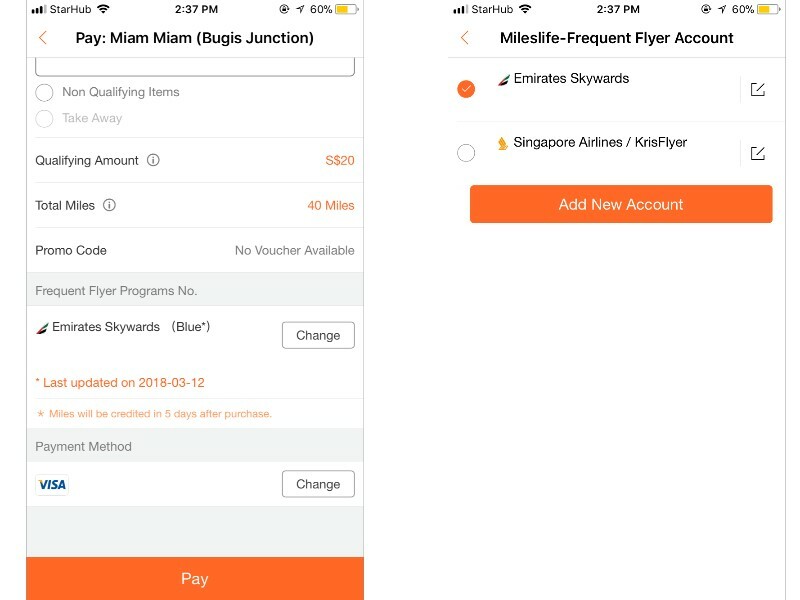 If you’ve added multiple frequent flyer programmes, you’ll get the option to choose which programme to accumulate your miles to upon each transaction. You don’t have to go out of your way and make extravagant purchases just to get those miles, because you can earn miles just from having a meal. 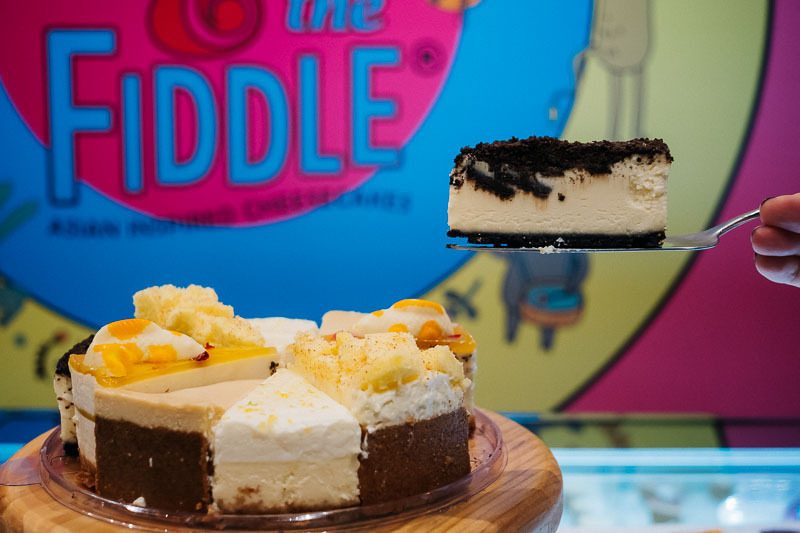 From small purchases like frozen yoghurt from Smöoy, to fancier meals at Sushi Kimura, The Knolls and more, you’ll get to convert that money spent into miles (and smiles). 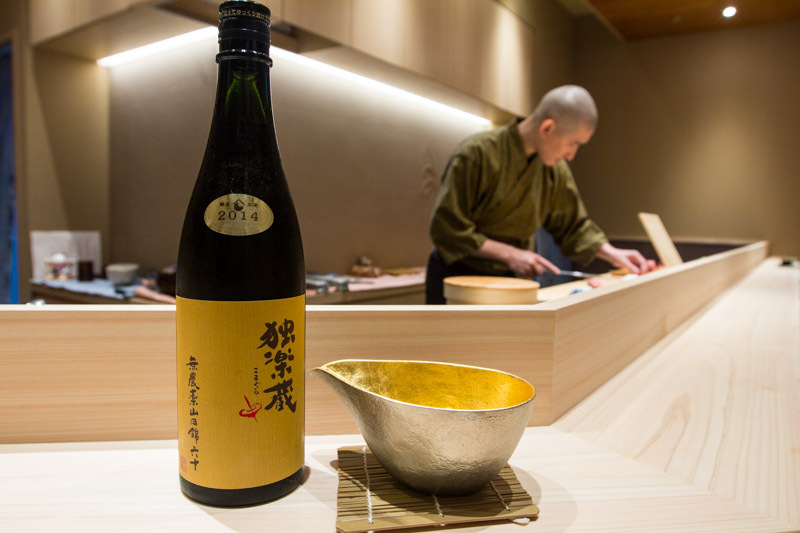 Dine at Sushi Kimura, and earn miles too! Upon selecting the restaurant or cafe, you’ll then need to key in the amount spent, and the frequent flyer programme you want to credit the miles to. 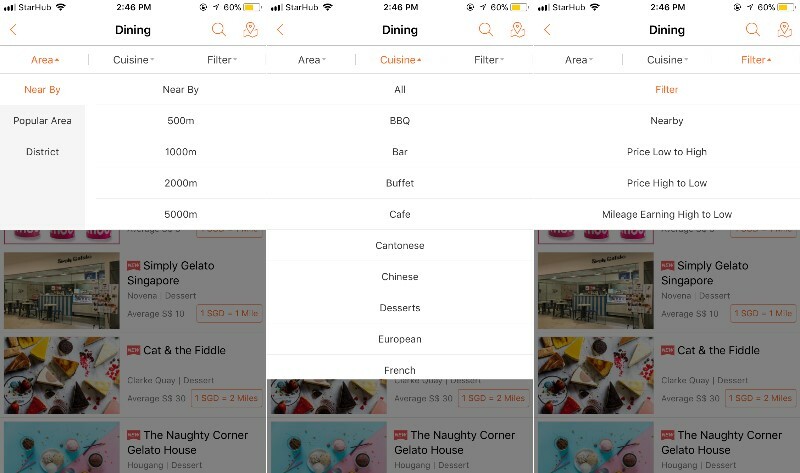 I liked how user-friendly the app is, because you can filter the dining options by area, type of cuisine, price (both low to high and high to low), and even mileage earning. This definitely makes it easier to decide on where to eat for the best returns. 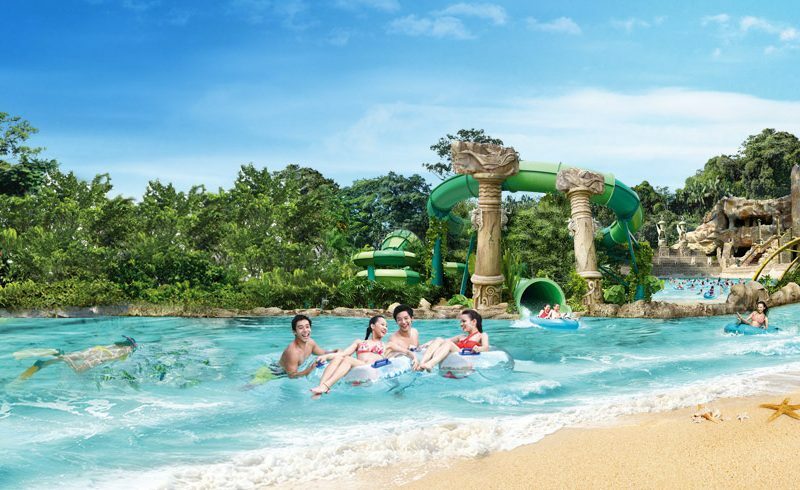 Likewise, you can also earn miles from doing fun activities around Singapore. Simply head over to the Lifestyle tab on the app, and browse through the list of lifestyle options. From spas and massages, to cruises, theme park tickets and fitness classes, you’ll be spoilt for choice! The activities are categorised neatly for your easy selection. 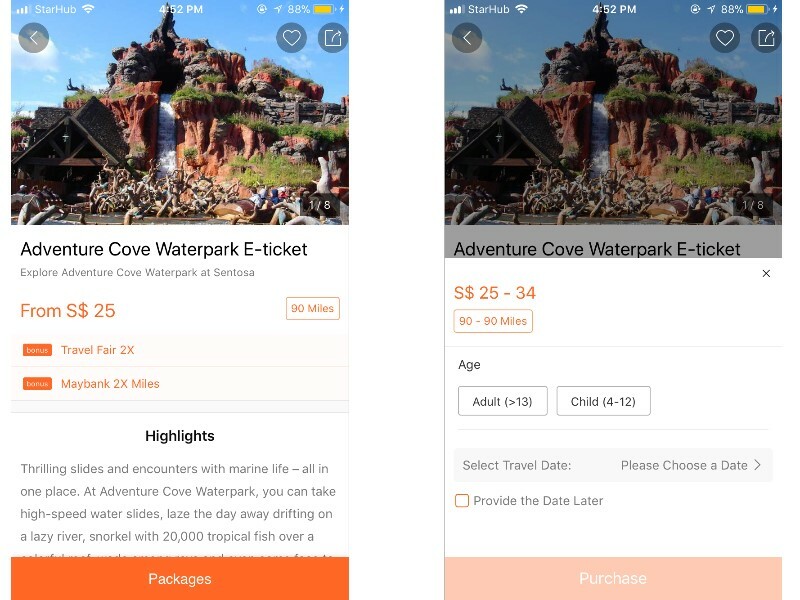 For example, just getting a child ticket (S$25) for admission to Adventure Cove Waterpark will earn you 90 Miles. You can have fun and earn miles at the same time! Want to get a gift for a friend, but not too sure what they’d like? Why not get a gift card, and let them pick out something they want? You can choose from Cat & the Fiddle, Naiise, Zalora and many other retailers. While they get to keep the gift, you’ll get to keep those miles! Start planning ahead, and earn miles for your next vacation while you’re on this vacation. Even hotel bookings can earn you miles on the Mileslife app. And when you earn, you earn big — rack up thousands of miles with just one stay! 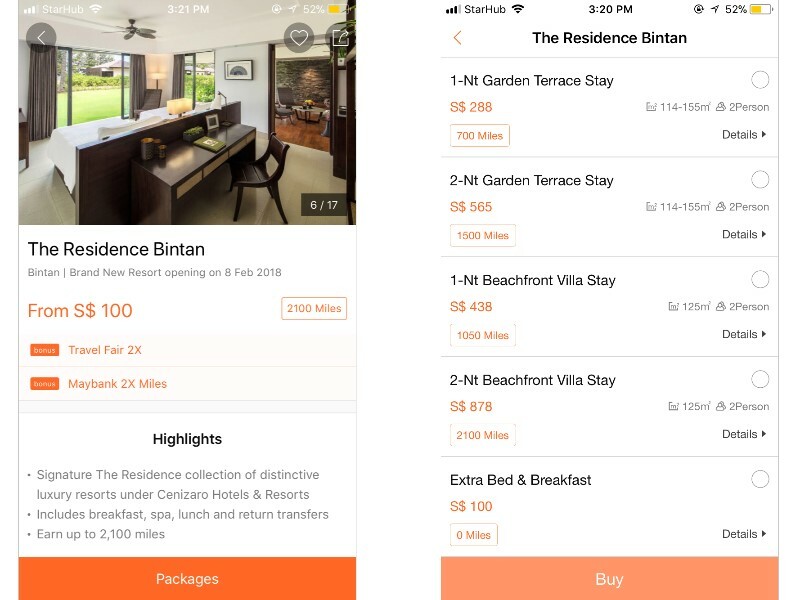 Share the cost with a couple of friends, and earn the reward of 2100 Miles at The Residence Bintan. You can then use the current vacation to fund your next trip! 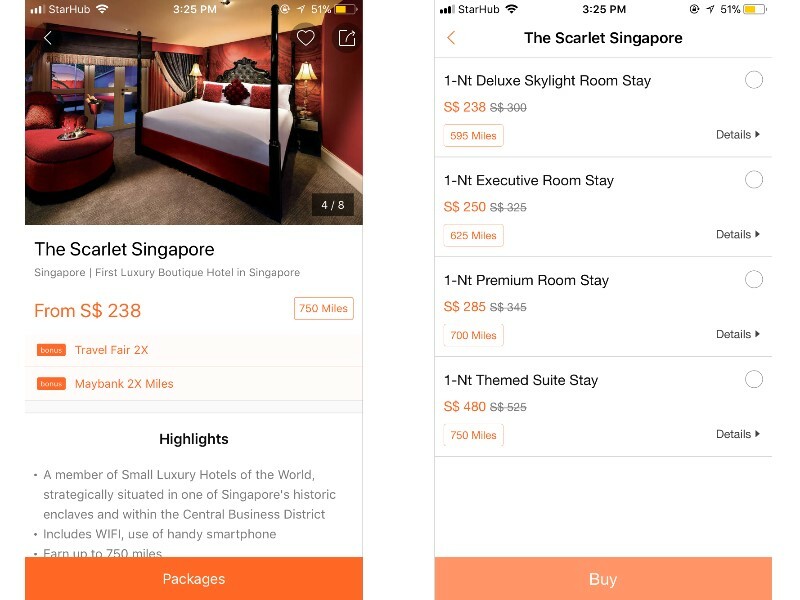 If you enjoy romantic getaways with your significant other frequently, boutique hotels like The Scarlet Singapore let you earn up to 750 Miles per stay. 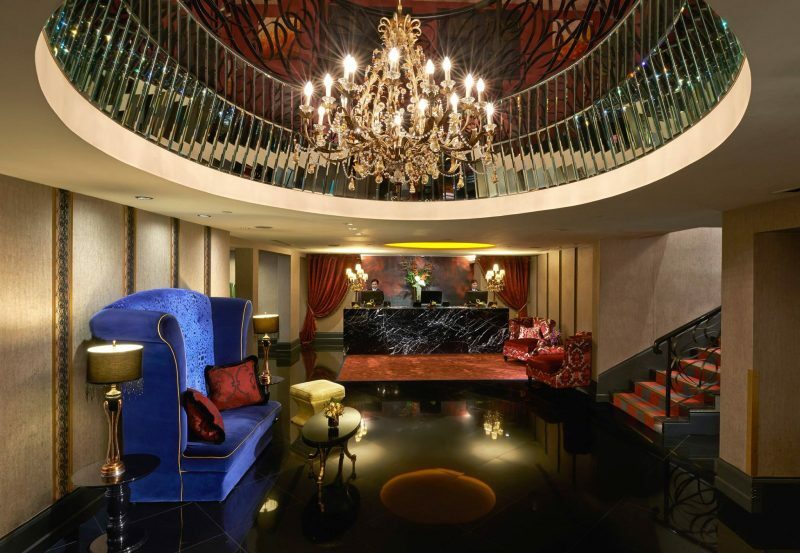 After hectic months at work, treat yourself to a weekend of living in the lap of luxury. A few more staycations, and you’ll be able to redeem a short getaway with your miles. 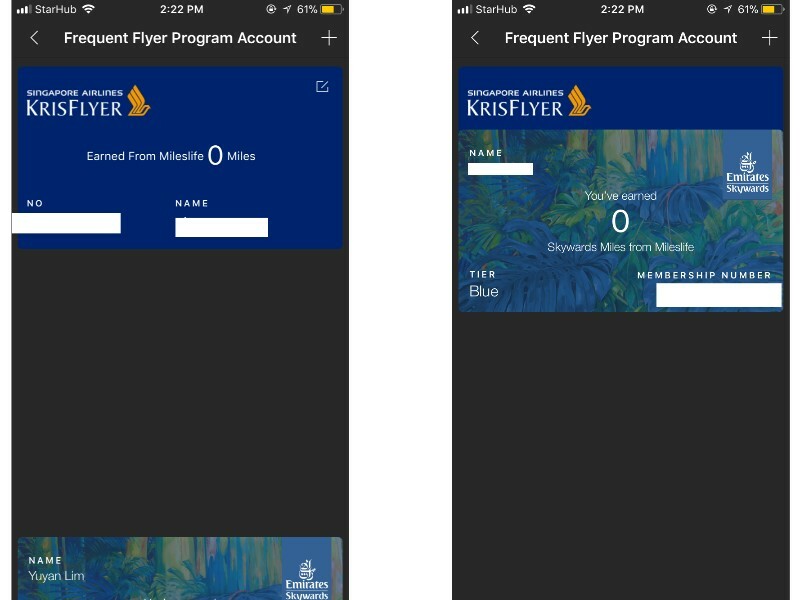 When you pay through the app with your credit card, you’ll be earning points/ miles via your card program, while the Mileslife app will also earn you miles. You will be effectively double dipping and earning miles twice as fast compared to only charging to a credit card! 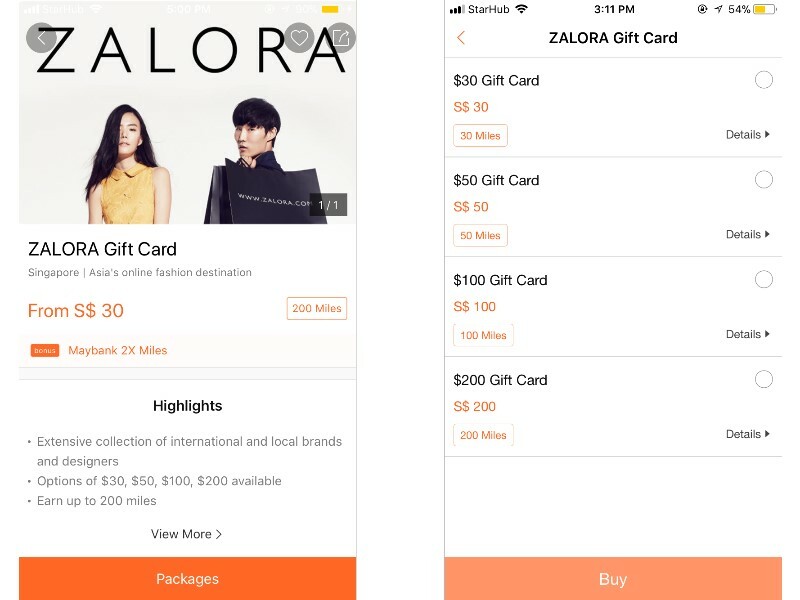 Also, typical promotions on Mileslife earn you 2 miles per dollar, versus 1.2 miles per dollar for typical credit card miles programs such as Citibank’s PremierMiles Visa card. Step 4: Visit a restaurant or select any offer then pay for your purchase through Mileslife. For restaurants, you will need to key in the exact amount as your restaurant bill into the app, then confirm it. The merchant will receive a notification to confirm payment. Spend more to earn more! Just think, each meal you have could be helping you earn miles for your next vacation. Get your fingers tapping, and download the Mileslife app. 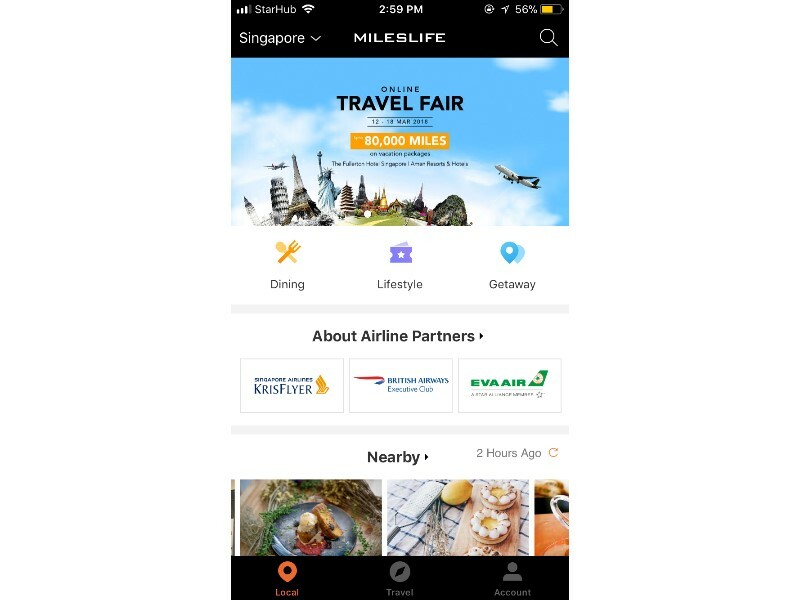 Input the promo code SETHLUI to earn 1,000 bonus miles for your first transaction on Mileslife (with a qualifying spend of S$49). The code is only valid for one month upon entering, so only enter it when you want to use it! Bring your family and friends along for a meal, and get started on your Mileslife journey now! *This post was brought to you in partnership with Mileslife.